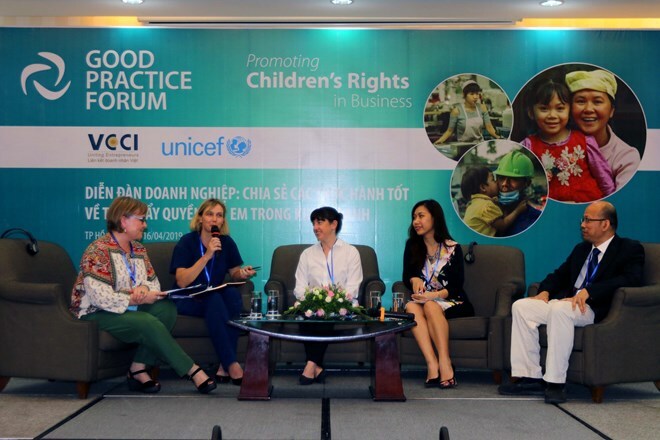 Speaking at the event jointly held by the United Nations International Children’s Fund (UNICEF) and the Vietnam Chamber of Commerce and Industry (VCCI), UNICEF Representative to Vietnam Rana Flowwers stressed that the business of local firms is having both direct and indirect impacts on children across the workplace, marketplace and community. Embracing children’s rights also helps the companies settle inequality, and realise the sustainable development goals, she added. Meanwhile, VCCI Vice President Vo Tan Thanh said that as Vietnam is carrying out its National Action Plan on the implementation of the 2030 Agenda for Sustainable Development, the country encourages the local business community to apply clean production technologies, effectively use natural resources, protect the environment, and perform their corporate responsibility, especially for the poor and vulnerable groups. Besides, they are urged to ensure that no one is left behind, and prioritise approach to the hardest-to-approach people, including children. The UNICEF and VCCI are joining hands to promote enterprises’ actions to maximise their positive impacts and minimise negative influences on children, he said, stressing that the move not only helps advance children’s rights and business principles but also enhances knowledge and capacity of the companies that have great influences on children. Sharing good practice in promoting children rights, Phuong Nam Garment Trading Import-Export Joint Stock Company in Ho Chi Minh City said that along with protecting child labour (aging 15-18), the firm has arranged suitable jobs, developed skills, and ensure social welfare for workers from 18-25 years old. Pou Yuen Vietnam in HCM City is outlining policies to support breastfeeding mothers at work by arranging a special room for milk pumping and storage. Another good practice came from Pou Chen factory in Dong Nai province, with the comprehensive education for children model, which raises workers’ awareness of health and nutrition for their children.